You can’t buy happiness, but you can buy sarees, that’s kind of the same thing, right? Believe it or not gals, but sarees create a different aura altogether. It is one such garment that can make you look super hot to super elegant; one can hardly go wrong with it! It is one of those classic versatile pieces which you can never get bored of! I am sure all of you own at least one of these magical stretch of six yards, and your mom must be having a good number of this beauty too. But, some of you might get disappointed when you look at your mom’s saree collection, as you might not find them “in trend”, but as I said, this is a magical piece, you can do a lot with those elegant classy sarees, and jazz it up in your own way, not only as an outfit, but also as an accessory! Wanna know how? Read on below! 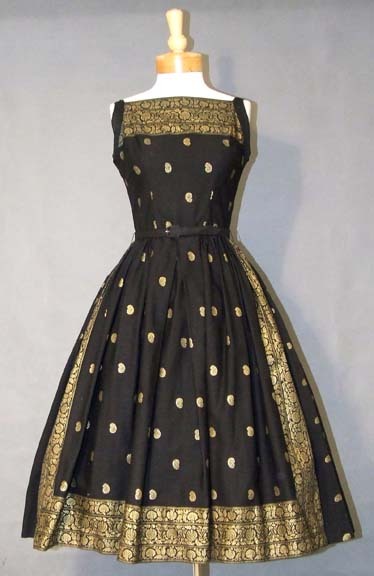 Convert it into a dress! 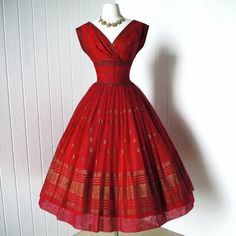 You have no idea how this beautiful traditional wear can be given a western twist and how amazing they can make you look. It gives a very classy, elegant Indian-ish touch, but in a uniquely stylish manner. Try using with a saree which has a heavy border and and experiment with the border, it gives a beautiful touch to the entire outfit! 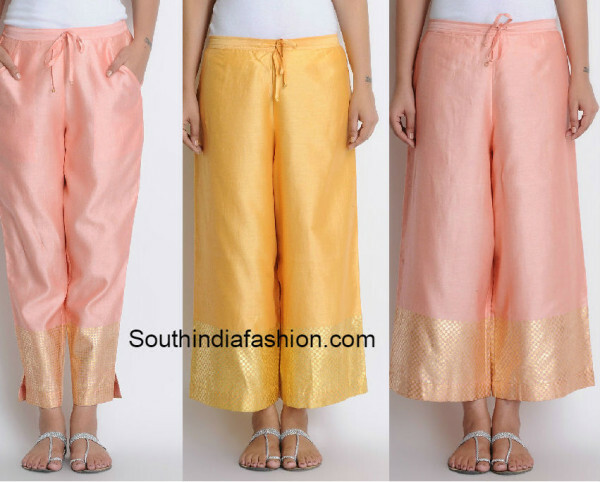 Pick up any of the silk sarees of your mom and turn them into silk pants. They are never out of trend! You can also try making palazzo pants with the saree. Pair these with a crop top, or any short kurti, accessorize with some traditional statement pieces, maybe a pair of earrings, a neck piece or a maang tika to have a perfect blend of the desi and videshi, and look like the ultimate diva! 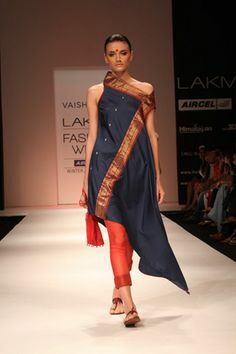 This is one of the most simplest yet super stylish ways to use your mom’s sarees, just change the draping style, half drape it and pair with slim fit pants and a nice blouse or a crop top! Add on a belt or a kamarbandh to add a quirk effect to the entire look! Accessorize well, and you are good to go! Whilst experimenting with the saree draping, you may want to look at Sonam Kapoor’s saree-dhoti look! 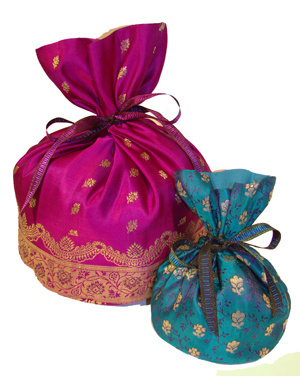 Make cute potli bags out of your mom’s sarees and add an ethnic touch to your look! Decorate them with some sequins or laces as per your choice. 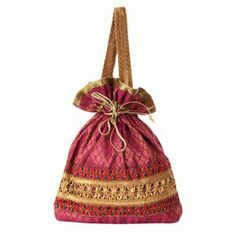 In fact not only potli bags, but you can also try making jholas, tote bags and even batua bags, they look as pretty and classy as the potlis. Carry them with your traditional outfits, or with some western outfit to give a mix n match element in your look! Convert your mom’s pretty saree into a beautiful kurta! Try experimenting with new and contemporary designs to make the look even better. Anarkalis turn out absolutely stunning when made out of sarees, they get the perfect flow and fall! Pair them with palazzos or churidars and look absolutely gorgeous! 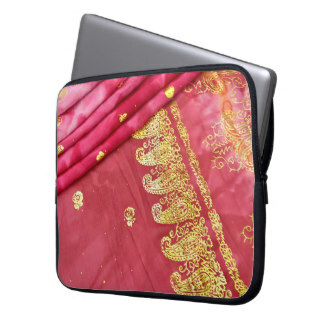 Make a pretty, classy laptop sleeve out of your mom’s saree. These look super stylish and give a nice unique Indi effect altogether! Add some additional decorations to enhance the look, you can even try using two sarees to make a pretty blend, patchwork kind of look! So girlies, I am sure now you all agree with the verdict of saree being a magical stretch of fabric! Anything and everything turns out to be absolutely amazing and stylish by default, the magic is that powerful! Get going, attack your mom’s wardrobe, get 5-6 of these beauties and go styling in your own way! This entry was posted in Create the Look, Essentially Yours and tagged Anarkali, dress, Indo-western, kurta, Laptop Sleeve, Mom's Wear, Palazzos, Potli Bags, saree.